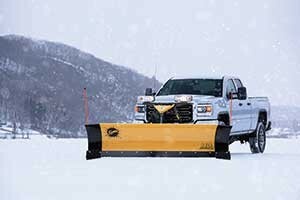 Take the best-selling Fisher plow of all time, load it with more standard features, give it a full line of performance enhancing accessories and you have the all-new Fisher HD2 snowplow. The ultra-rugged HD2 blade is constructed of high-strength, powder coated steel and 10 heavy-gauge steel reinforcement ribs. Features Fisher Engineering’s dual trip-edge protection. Comes in 7′ 6″, 8′, 8′ 6″, and 9′ widths. Available as a skid-steer plow.